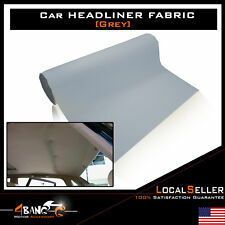 Headliner Upholstery Fabric Sagging Replace Material Backed Foam Grey 48"x60"
Flexible decorative moulding to give your car that extra kick. 1 x 5m Decoration Line. Clear Up the Gap Line and The Area Where Will Be Attached. Inlay into The Gap. Perfect for car interior decoration. Alfa Romeo Spider interior B-pillar panel driver side tan. For sale is 13 piece stainless trim off of a 78 spider. They are in very good condition. Alfa Romeo Spider Veloce Left Front B-Pillar Trim Series 3 82-90 OEM This is a used item with normal wear. Click here to view full details and picture. Confirm fitment with your dealer or mechanic. Taken off from '72 Spider in the early 90's. during removal. Will fit most Spider from early 70's to early 90's. Sold as-is in pair only. 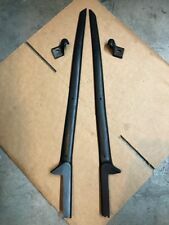 Alfa Romeo Spider Quad Left Door Panel Top Molding Trim Black Series 3 Leather This is a used item with normal wear. Click here to view full details and picture. Confirm fitment with your dealer or mechanic. Alfa Romeo Spider Quadrifoglio Left B-Pillar Trim Series 3 83-90 OEM This is a used item with normal wear. Click here to view full details and picture. Confirm fitment with your dealer or mechanic. Alfa Romeo Spider Quad Right Door Panel Top Molding Trim Chrome Series 3 83-90 This is a used item with normal wear. Click here to view full details and picture. Confirm fitment with your dealer or mechanic. Alfa Romeo Spider Right Top Upper B Pillar cover molding Trim Series 3 Chrome This is a used item with normal wear. Click here to view full details and picture. Confirm fitment with your dealer or mechanic. Shifter Housing. 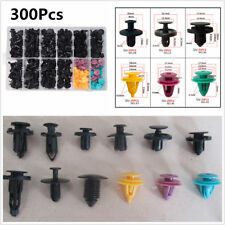 if you are looking for a specific part, we will be happy to list that item for you. Alfa Romeo Spider Quadrifoglio Right B-Pillar Trim Series 3 83-90 OEM This is a used item with normal wear. Click here to view full details and picture. Confirm fitment with your dealer or mechanic. Alfa Romeo Spider Quadrifoglio Right Lower Dash Trim Series 3 83-90 OEM This is a used item with normal wear. Click here to view full details and picture. Confirm fitment with your dealer or mechanic. Panel Gap Interior Flexible Decorative Molding Strip Light Trim Description: - Application: Fit For Most Cars, Truck, And SUV. - Condition: 100% Brand New W/ High Quality - Material: Soft PVC Plastic - Color: As title states Feature: 1. Flexible Decorative Moulding To Give Your Car That Extra Kick 2. 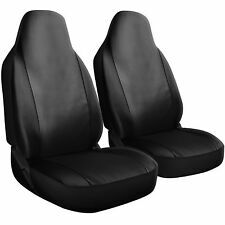 Great For Both Interior & Exterior Decorating Of Your Car 3. Alfa Romeo Spider Veloce Quarter Window Latch Chrome Series 3 82-90 105066121602 This is a used item with normal wear. Click here to view full details and picture. Confirm fitment with your dealer or mechanic. Nice part removed from an 86 Spider. Alfa Romeo Spider Veloce Dash Trim Series 3 82-90 OEM This is a used item with normal wear. Click here to view full details and picture. Confirm fitment with your dealer or mechanic. These interior trim pieces are very nice used. Alfa Romeo Spider Quad Lighter Ashtray Surround Dash Trim Series 3 83-90 Broken This is a used item with normal wear. Click here to view full details and picture. Confirm fitment with your dealer or mechanic. 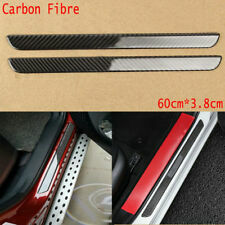 2 x 60CM Carbon Fiber Door sill scuff plates protectors. Material: Made Of High quality Carbon Fiber. Do not wash your car within 24 hours. We also have a variety of LED lighting accessories for cars and boats. Alfa Romeo Spider Veloce Left Front A-Pillar Trim Chrome Series 3 82-90 OEM This is a used item with normal wear. Click here to view full details and picture. Confirm fitment with your dealer or mechanic. 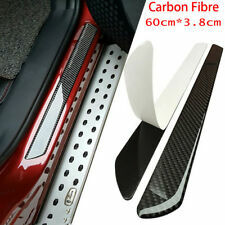 Carbon Fiber Car Door Scuff Plate Sill Cover Panel Guard Step Protector 60CM. 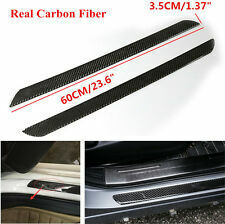 2 x 60CM Carbon Fiber Door sill scuff plates protectors. Material: Made Of High quality Carbon Fiber. Size: approx 3.8cm 60 cm. Rubber Trim Seal For Car Doors Edge Guard. This door rubber seal also designed to be Boat Trim Vinyl Window. Window weather stripe for Mini bus. Trim seal for caravan. 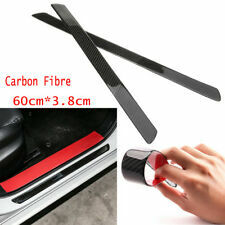 Protect the external car door edge from the clash on the walls or other cars. Alfa Romeo Spider Quad Left Door Panel Top Molding Trim Chrome Series 3 83-90 This is a used item with normal wear. Click here to view full details and picture. Confirm fitment with your dealer or mechanic. AVS 88407AVS 88407. Public Forums. Need to make a change?. Disclosure of Information Policy. Your credit card information is encrypted while traveling the Internet. For their protection, we ask that children do not submit information to us without the consent of a parent or guardian. The rubber gasket has a split(as shown). Alfa Romeo Spider Quad Instrument Cluster Bezel Surround Dash Trim Series3 83-90 This is a used item with normal wear. Click here to view full details and picture. Confirm fitment with your dealer or mechanic. Under Dash Trim. Seat Belts. Radio Code. Wheels & Tire s. Engines / Transmissions / Differentials. Alfa Romeo Spider Shifter Climate Control Dash Surround Series3 RepairedCrack This is a used item with normal wear. Click here to view full details and picture. Confirm fitment with your dealer or mechanic. 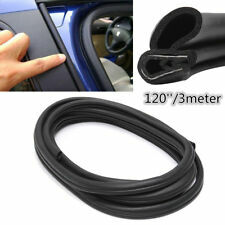 Rubber Trim Seal For Car Doors Edge Guard. This door rubber seal also designed to be Trim seal for caravan. Other Part Number Waterproof Anti Dust Rubber Seal Trim Strip. Boat Trim Vinyl Window. Window weather stripe for Mini bus. 1 x 5m Decoration Line. Clear Up the Gap Line and The Area Where Will Be Attached. Inlay into The Gap. Flexible decorative moulding to give your car that extra kick. Perfect for car interior decoration. Alfa Romeo Spider Veloce Trim Chrome Series 3 82-90 OEM This is a used item with normal wear. Click here to view full details and picture. Confirm fitment with your dealer or mechanic. Alfa Romeo Spider Veloce Ring Trim Series 3 82-90 OEM This is a used item with normal wear. Click here to view full details and picture. Confirm fitment with your dealer or mechanic. Alfa Romeo Spider Veloce Blank Button Dash Trim Series 3 82-90 OEM This is a used item with normal wear. Click here to view full details and picture. Confirm fitment with your dealer or mechanic. Afla Romero Spider interior B-post trim panel for passenger side. Alfa Romeo Spider Left Top Upper B Pillar cover molding Trim Series 3 Chrome This is a used item with normal wear. Click here to view full details and picture. Confirm fitment with your dealer or mechanic. Alfa Romeo Spider Quadrifoglio Trim Series 3 83-90 OEM Broken Clips This is a used item with normal wear. Click here to view full details and picture. Confirm fitment with your dealer or mechanic.